Nurses at a medium security male facility have asked you to help them get a handle on nurse sick call. They don’t know what is wrong but are burdened by the number of sick call requests that they get every day. There are times during the week when inmates are not seen within the facility’s definition of timeliness. The average number written requests for health care attention that the nurses receive each day is 42. Approximately half of these involve physical symptoms that require a nursing assessment no later than the next day. The nurses see on average 26 patients each day; but only half of these are nursing assessments scheduled from triage of the written request. The other half are urgent walk-ins. There is a backlog of 30 patients who have yet to be assessed by a nurse. What do the numbers tell: What is your first impression about how nurse sick call is being handled? Looking at the average statistics a backlog can be predicted. If an average of 21 patients each day have concerns that involve physical symptoms then the nurses will need to see that many patients every day to keep up. In this example the nurses are only seeing about 13 patients scheduled from triage of the written request each day so every day eight patients are added to the backlog. To catch up the nurses need to see more than 21 patients a day until the backlog is eliminated. Underlying principles of sick call: Nursing sick call is considered one of the signature practices defining the specialty of correctional nursing. There are two legal principles underlying nursing sick call. The first is that inmates have daily, unimpeded access to health care. The second is that inmates are entitled to a professional clinical judgment regarding their health concerns. Simply put, inmates can request health care attention every day and their concerns must be addressed in a responsive, timely and clinically appropriate manner (Smith 2013). The failure to see patients, as in the example above, is a violation of these underlying legal principles and puts patients at risk of harm. 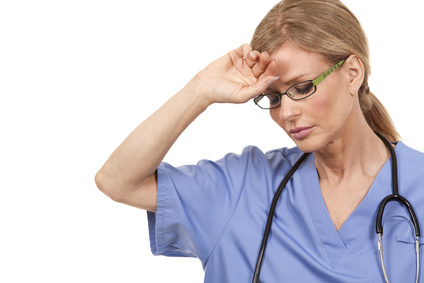 What gets measured gets done: Sometimes the never ending onslaught of requests for health care attention can overwhelm nursing staff and becomes a morale and staff retention issue in addition to a legal or risk management problem. Having performance benchmarks for nursing sick call can be helpful in identifying when practices deviate from the norm, considering root causes and developing solutions to improve performance. Based upon your experience how many patients can a proficient nurse see in sick call in an hour? What advice would you give to a nurse who wanted to become more efficient at sick call? Please share your opinion and advice by responding in the comments section of this post. Next week’s post will include the consensus from nursing colleagues about how many patients nurses can see in an hour of sick call as well as their advice about how to manage sick call efficiently. There is much more on the subject of Sick Call written by Sue Smith in Chapter 15 of the Essentials for Correctional Nursing. Order your copy directly from the publisher. Use promotional code AF1209 for $15 off and free shipping. ← Pustules, Furuncles and Petechia, Oh My! The importance of sick call cannot be over emphasized. When done effectively it improves patients health and system efficiency, when done haphazardly, it delays healing and makes more work for everyone. The program, health of prisoners, jail vs prison, effective access to the patient and the skills of the nurse or whoever is dong sick call are all factors. If the system sets up effective triage and patients are seen by the nurse timely, then the nurse can see quite a few patients a day. Some systems where sick call is in a room in the housing area and that can be real efficient. Some where patients are brought to the nurse and can be seen quickly and sometimes there are delays. Documenting sick call assessments and plans of care can be on a standard form or take a long time to write out. So when looking at your sick call system. factor in all these areas and make sure you are using your staff time efficiently and having timely access to the patients. If you want numbers, a skilled nurse whose patients have been triaged well so they know what is the problem, has all equipment ready and easy documentation, can probably see 6-8 patients in an hour. As some will require a systems review and some may just need reinforcement or quick treatment. Remember it does take time to do vital signs and review them…..